Fort Lauderdale ticket and arrest; Are Quotas being Used? A veteran Fort Lauderdale patrolman says he was penalized for not issuing enough tickets and marking enough arrests. Fort Lauderdale police are investigating claims that its own officers are being pressured by supervisors to hand out tickets and make ”unnecessary” arrests as part of a department-wide quota system to boost arrest numbers. Hennessy, 52, says he is being unfairly punished because he did not make enough arrests. No more take-home car. No more overtime shifts. No more voluntary details. In all, Hennessy said, that amounts to thousands of dollars he’s losing. ”It is literally an economic death sentence for the average police officer,” he said. ANSARA RESPONDS: Some would argue that a quota system for the Fort Lauderdale Police, or any other agency, will only help increase the number of arrests thus making our streets safer for the citizens these officers are sworn to protect. However, history has shown that the practice of forcing law enforcement to make arrests or issue citations may lead to unnecessary harassment of the public and generally bad policing. 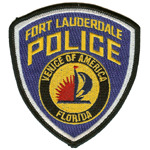 The Fort Lauderdale Police Department consists of individuals who are forced to use their own judgment and experience on a daily basis. It is this “individual judgment” that enables the Fort Lauderdale police to make arrests that they believe are proper. Quotas will simply lead to law enforcement using their arresting powers as a means to keep their jobs. No longer will the Fort Lauderdale Police be motivated by the thought that they are fighting crime, but the thought keeping their job. The Fort Lauderdale Police Department is now claiming that they do not use “quotas” but instead “performance standards.” I believe the Fort Lauderdale Police Department is treading on dangerous ground. Are performance standards really different from quotas? I believe the Fort Lauderdale Police Department knows the answer to that question, however they will continue to hide behind the notion that “performance standards” are not quotas. The residents of Broward County, specifically Fort Lauderdale should all question; Will I be the next victim of Fort Lauderdale Police Department’s performance standard?